ZB: At what point in your life did you start learning from your teacher Vera Gornostaeva? SB: I was 18 or 19, and I was drawn to her very naturally and very immediately. I had already studied with several great teachers before meeting her. In Moscow it was a tradition to attend the lessons of other teachers. I still remember the first lesson; she taught Chopin Sonatas. I would open the door and ask her whether I could be present, and she was always very kind to agree. Her studio was full of auditors from all kinds of places in the Soviet Union. These poor students had to play for the first time in their lives their newly-prepared major piano compositions already in front of an audience. Pieces had to be already memorized and brought to the lesson on quite a high level from the first lesson. These lessons were life-changing experiences. The first lessons were more general overviews, where she talked about the style of that particular composition; the details followed later. She would talk about sound—and even the more basic elements of music—with such phenomenal and expressive use of language. This came from her masterful command and understanding of Russian language, literature, and poetry—it was truly unique. Russian poetry was thoroughly part of her life. She herself could have been an incredible journalist, which she in fact was—in her book, and in her writings and pieces in newspapers. I admired her articles about Bach, Chopin, Yudina, and about Neuhaus. About Neuhaus and Yudina, nobody wrote better. Her ability to hypnotize with written words was unique. 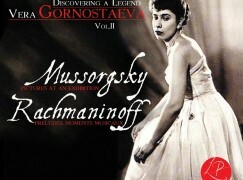 Gornostaeva activated musical imagination and creativity through use of musical imagery. I remember the c-sharp minor Prelude and Fugue from the WTC Book 2: she quoted the poetry of Alexandre Blok—the image of a ray of light in the fog. It described incredibly the atmosphere of the piece. Of course Blok’s poetry had nothing to do with Bach or its creation, but those few words immediately unlocked a key to playing the piece. This transformed the most timid, scared students into sudden artists and gave them wings to fly, after only a few minutes. This way was at the center of the Heinrich Neuhaus school. These were not lessons concerned only with mastery of an instrument—they concerned mastery of a musical soul. Everything was elevated and poeticized—you were immediately in the world of magic. You were suddenly touching a world of great culture, paintings, literature—you became part of it. You understood the composer’s place in the entire history of human achievement. When I became part of her studio, she took only a few students, and those of us lucky enough to be there felt part of a family. I was very close with her and accompanied some of her travels to her concerts and witnessed her life as a performing artist—she would also take four of her students from the studio and play class concerts together. It gave us direct experience of the performer’s life. We learned about the difficulties of the profession: travel, unheated trains, hotels with no hot water, and unplayable pianos. She never complained about pianos and taught us to find something beautiful about any piano; these were very important lessons we learned. In the days of Soviet Russia, travel meant long days in. She would play a recital, and then the following day we played a class recital; during the travel onward she analyzed in great detail our performances, so as to change them for the performance in the next city. This was in Siberia and the Urals in the winter—it is difficult to imagine today. It was eye-opening for me to witness this level of discipline and dedication to her students. I learned about sacrifice and saying no to many of the pleasures of life in order to achieve this focus as a musician. I learned more about teaching from her than I could from any formal pedagogy class. She was a beautiful woman, and we surely were all secretly in love with her. She was deeply educated in literature, and could endlessly recite poetry. We even tested her: “please read from Pushkin” and she would go on without stop. Mandelstam, Tsvetaeva—it went without end. She appeared to truly know the entirety of poetry, including contemporary poets. She was someone who encapsulated the noble ideas of Russian culture . Those of us of that generation who knew her in her prime felt privileged and lucky beyond words to be in her studio. I only fully understood that context of this years later, and would call her to say “now I know what you were talking about.” What I thought I understood early on only became more and more clear later. Ways of listening to sound, ways to project in halls—it all crystalized. It is amazing as such that her teaching continued through years and decades after these lessons, and the wisdom stayed with me. There wasn’t a single time that I approached the piano without thinking of her. This level of knowledge of Russian culture was unique in the world of music—she was able to unlock qualities in students that they never even knew they had, almost as though a shaman. She had a metaphysically penetrating look in her eyes that appeared to see all the way through you. That was a deep, serious, observing look, but it was full of kindness. She saw something in you—everything about you, even that which you were perhaps not even aware of. I remember for instance when choosing repertoire I would protest, “no, but this is not my piece” and she would reply: “yes, it is, but you don’t know it yet.” She was able to see these things, like a great theatrical director—calling her merely a teacher is too limited. ZB: How would you say her teaching was different from more typical teachers? SB: Everything was different. She and Neuhaus and Naumov were of the same vein. There was nothing mundane. They would inspire you with such an image—images that were so vivid, cultivated, beautiful, and striking—that your inspiration was uncontained. You would run, not walk, to the piano immediately after a lesson, so as not to lose an ounce of the treasure you had just been given and assimilate it. It was hypnosis. People who think they know Vera Gornostaeva’s playing from recordings don’t know her playing at all. We, her students, know her true playing—the magic of her playing in lessons; the colors and the freedom one can never forget. She once played at home a performance for me of Schumann’s Kinderszenen. I cannot imagine a greater performance. It was so warm, so imaginative and natural—the Schumann of your dreams. I once witnessed a lesson of Bach Chromatic Fantasy and Fugue—I played it first, and then another student played it after me. I cannot imagine two more completely different lessons. With me she would give me examples from great arias and recitatives from the Cantatas, in order to make my sound more human, more personal, more singing. With the other student she talked about the style, rhythm, German character, the structure, and the harpsichord-like nature of the piece. The lessons were not prescribed—they were highly creative and invented on the spot based on what she just heard from the student. ZB: You were inspired by her musical imagery—did this imagery concern sound, character, or something else? SB: She described the beginning of Ravel’s “Ondine”. I witnessed many lessons from others asking the opening of the piece to be very soft… legato… high wrist… low wrist… curved finger… flat finger… These are general terms and very boring for me. Vera took the first harmony of the right hand and started analyzing. “Listen to this: it is major, with a hint of minor, which is very much the nostalgic mood of the piece—the impossibility of the two worlds, the earthy and the other-wordly. The attraction and the impossibility of the union creates the nostalgia. The chord with major-minor mixture expresses this division of worlds. I immediately caught the atmosphere with this evocative description; I did not need a lecture about low or high wrists. I knew exactly how to play it, and my hands naturally played the beginning. She illuminated the coda of the Chopin Concerto in e-minor, first movement, in the transition material before the right-hand sixteenth notes and trills in the left hand. It’s a very special moment, this transition from the second subject to the coda. Vera said “Oh, this is where Chopin bids farewell to his own music. He will never write this first movement again ever—this most beautiful music. With tears, he is parting with his own music.” It was an incredible image. Vera was a vibrant personality who stayed open through her whole life and never became old and tired. She was interested in the opinions of younger musicians. She was always surrounded by youth. I do not think she ever became old and self-important—at least I do not remember her that way. ZB: All these inspirations sound incredibly serious at the same time. Did she have a sense of humor as well? SB: Oh, an amazing sense of humor! Absolutely. Vera could be very explosive and phenomenally sharp in her replies. We still quote her to this day. Humor was a very important part of who she was. She belonged to the rare type of very intelligent people who do not take themselves seriously. That is how she was. Her deep intelligence wouldn’t let her take herself too seriously. ZB: Was she equally masterful teaching in all musical styles? SB: When Vera taught, I was always present. That included every lesson of hers with other students, because as I mentioned before it was the most natural thing for me; I was drawn to her naturally. Many times she always surprised me again and again with her deep knowledge of different styles, and her interest in all of them. Of course, her main calling was in Chopin, Schumann, Liszt, Rachmaninoff, Tchaikovsky, and the romantics. But she always surprised me when I thought I did not need detailed guidance. Bach Goldberg Variations were an unforgettable experience. Mozart—those were the best Mozart lessons I had in my life. I played the Webern Variations for her, and that was the best lesson I ever received on that piece. For instance, I had a close friend preparing for a competition, and had to play Beethoven Second Concerto. He wanted to play it for me and for the assistant of Vera Gornostaeva—we were working on the final movement. The assistant and I were trying to give different detailed ideas about the music, about phrasings, dynamics, and articulations, and he would do them. After an hour hour or two we realized that something is still not working. At that moment, Vera came home in this bitter cold December evening—she had been out in the cold for a long time. She entered the corridor and removed her coat, and she found us—two of her ex-students, one of us already her assistant—trying to help an extremely gifted student with the Beethoven Concerto. “What are you doing?” she asked. “Thank goodness you are here—we need your help on the beginning of the final movement.” She sat down and said: “what is so difficult about that?” I looked at her face. It became the face of Beethoven. It was amazing. I felt that the character was so inside of her, that even with cold ”wooden” hands and no warming, she sat down and played that first theme with such character and understanding of the humor and the stubbornness, that this student, me and the assistant began laughing realizing how inferior we are compared to our professor. The student had followed our every detailed instruction but we missed the main point, and were not able to inspire. Everything fell into place with her example. He played it right away with great freedom and humor the beginning of the movement. I learned one of the biggest lessons of my life: everything comes from the character and the atmosphere of the music. Vera looked into the core of the music, and the student was transformed. Each time it was magic. She inspired and brought out our best. This is a magic that will never die in all those who knew it. ZB: What has been lost with the death of Gornostaeva? SB: I was counting on the fact that she would have at least another ten years—she had such a strong will, sharp intellect, and incredible inner strength, that it seemed impossible not to continue. Her death is very tragic. With the death of Neuhaus and then later with his disciples, it always seemed to be the end of a tradition. But it continued, and the beauty is that it continues. There are followers who were by no accident part of their studios—they were drawn to her, and drawn to see and carry her light to be refracted for future generations. She will continue to live in my students too. I am always very clear in my lessons in letting my students know that a particular process or image is from Vera. In a way, she will never die—she lives in us. But she is irreplaceable, and her loss is an enormous one for the world. This is a beautiful story of a living legend. Sergei’s tribute is endearing, touching and enlightening. Everything he shares is similar to many such stories of great legendary teachers and artists. Similarly, Adele Marcus represented this icon of knowledge and pedagogical gits. 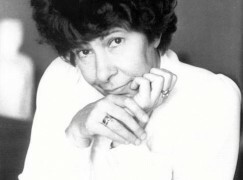 I dare say, even to this day, nearly twenty years since her passing, I take her spirit on stage with me, remembering her approach to life, reading the Daily Word even as a devout child of Judaism, and her concepts of sound which had prompted Vladimir Horowitz to ask her, ‘show me what you do; how do you get that sound’. I wish I had the opportunity to know Vera Gornostoaeva later in my life. She was also a remarkable musician and teacher, who like Marcus, performed less in later years, but gave the greatest gifts to her students. I am sure her spirit will be part of her students for the rest of their lives, and they will feel her presence on stage and in the teaching studio. That’s a lovely story, but I was in the green room at Avery Fisher Hall after Horowitz’s 1980 recital, and when Ms. Marcus approached Horowitz, he gave her a blank stare: He had no idea who she was. My former teacher Harvey Wedeen also speaks of Adele Marcus in the same manner as you, and as Sergei Babayan of Vera. I met SB once in the Chopin Symposium in Weston, MA and I noticed he couldn’t stop talking about Vera Gornostaeva. What a wonderful tribute! Wow, this is a great exchange of practical information in engaging one’s imagination more fully. Brilliant work! 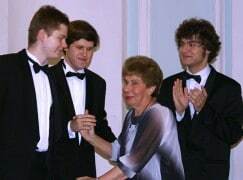 I have played Prokofiev Sonata No.2 for her In master class in Varna and remember how much inspitation she gave me with her imaginations of the charters ,dynamic and details.